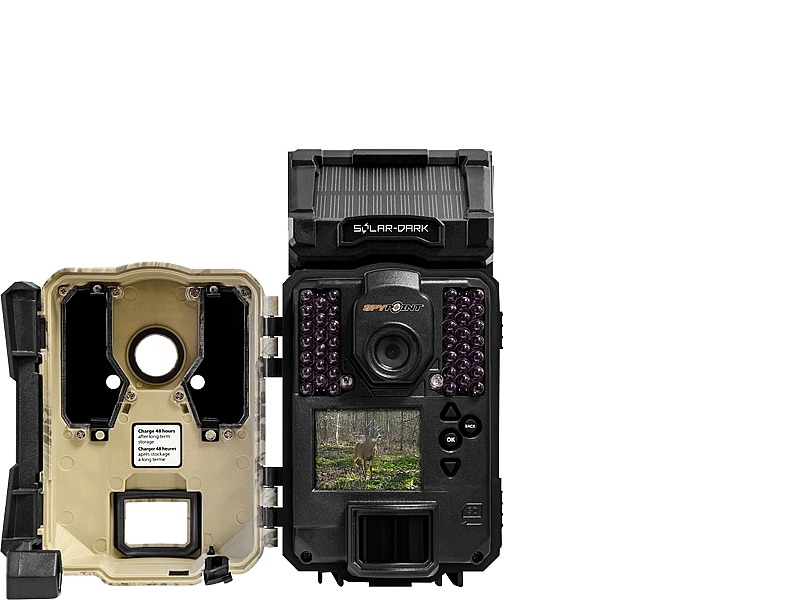 New to 2019, Spypoint introduce the new SOLAR-DARK to their collection of non-cellular Trail Cameras. This model feature a 12 MP camera for use with the multiple capture modes, capturing up to 6 photos per detection, as well as built-in, full HD video recording (1080p) with sound. Other features include the 42 invisible (black) LED’s and a 2 inch viewing & configuration screen with zoom and pan functions when reviewing photos. The SOLAR-DARK includes a built-in solar panel for unlimited battery life.